I have been blogging for a few years now and one thing I have learned about this internet stuff is that there are new readers linking in all the time. I do not often repeat or reuse material, but with some of the current “buzz” about the catching of some really big fish from Nebraska waters ( http://magazine.outdoornebraska.gov/2013/04/big-bass-quest/ , http://magazine.outdoornebraska.gov/2013/04/nebraskies/ ), I thought I would dust off an old blog post and share some of my thoughts on catching big fish, big fish of any species. . . .
What do anglers want? That’s easy– big fish and more of ’em! I doubt if there is an angler alive that would disagree with that statement. But how does one go about catching more big fish? Catching big fish has always turned my crank. I am not necessarily talking about the biggest fish that swim, but big specimens of whatever species I happen to be pursuing. I can get just as excited, and maybe more so, pulling an 11-inch bluegill through a hole in the ice as I can putting a 35-pound flathead in the net. Catching big fish has always been one of my primary goals; a long time ago I set the goal of catching at least one Nebraska Master Angler fish per year. I would like to think that over the years I have improved as an angler, and as I look back now, I have far exceeded that goal! I will not proclaim to be THE expert on the subject, but let me share what I consider to be some strategies that have helped me catch more big fish than I ever dreamed possible. Fish “big fish” water. One saying I repeat over and over is that big fish are hard to catch not because they are so smart, but because they are so RARE. You cannot catch big fish from waters where they do not exist. Regardless of the species being pursued, you must have large specimens present if you hope to catch any of them. Having said that, you do not necessarily have to fish the absolute best water that has the maximum number of big walleyes or big crappies or big catfish or big whatever, but you do have to fish water where there are at least some big specimens present. Of course if you are able to fish water that has an abundance of big specimens then your chances will be that much better, but if big specimens are your target, you absolutely do NOT want to waste any time fishing water where there are no big specimens present. How do you know if there is potential for big fish? In this information age, anglers have access to more information than ever before. For example, the Nebraska Game & Parks Commission produces “fishing forecasts” every year based upon sampling done by their fisheries biologists (you can see that information here, http://www.outdoornebraska.ne.gov/fishing/pdfs/FishForecast.pdf ). Biologists and fisheries managers can be one valuable source of information, but let me tell you something about all the fish sampling done by those professionals. Relatively few large specimens are captured in fish population surveys even though those surveys are done with electro-fishing gear and a variety of nets. The goal of fisheries biologists when sampling fish populations is almost always a “representative sample” of that population. They are not out there trying to sample the largest specimens; instead they are trying to collect a representative sample of all the sizes of fish present in that population. As a result, fish sampling information may not include very many large specimens. As a matter of fact, anglers may be a better source of information on large fish in a body of water because anglers target big fish! Compilations of big fish caught by anglers in contests or angler recognition programs are great indicators of waters that have big fish potential. But, keep in mind a couple of things about information from other anglers: First of all, all anglers except you and me are liars and sometimes I wonder about you! I am not saying you cannot obtain solid, reliable information from other anglers, because you can, but sometimes you have to take some of that information with a dose of skepticism. 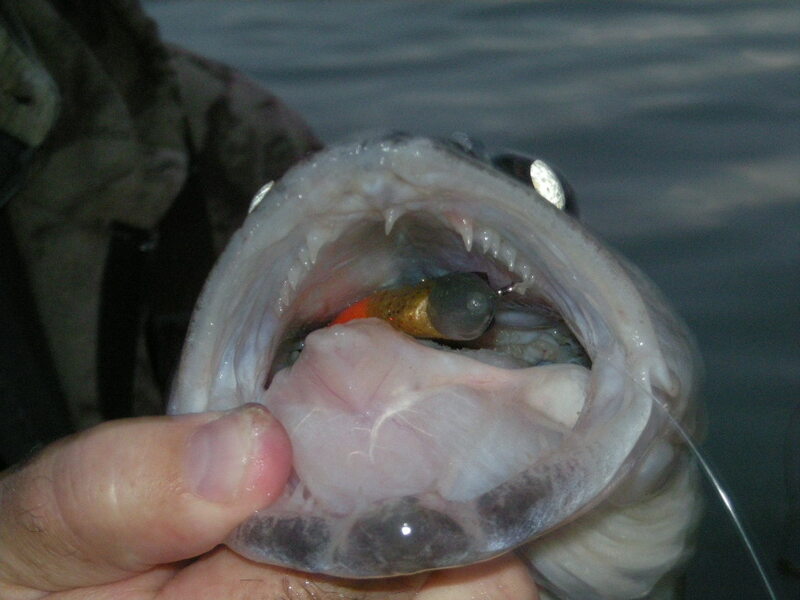 Secondly, most anglers follow the hot bite like a herd of sheep. One water body may be producing large fish because that is where everyone is fishing. Another body of water may have equal or even better big fish potential, but word about it has not hit the front pages, or the internet, yet. The best way to determine the best waters with the best big fish potential is to do your homework. Collect as much information from as many sources as possible and then use your judgement to come to a conclusion about which waters have big fish potential. If your goal is to catch big specimens then those are the waters you want to target; you want to spend as much time on those waters as possible. Understand the nature of the species. Back to my statement about big fish being hard to catch because they are so rare–everything has to fall into place for a fish to reach large size. Large specimens are the ultimate survivors and the best examples of the species. They will be the individuals that are the most successful at being a walleye or bluegill, for example. They are the best of the best; “a walleye’s walleye” or “a bluegill’s bluegill”. They have mastered the behavior it takes to survive and become the biggest specimens in the population. They are the “Uber-walleye” or “Uber-bluegill”. Study the biology and behavior of your target fish with the understanding that biology and behavior is going to be most true for large specimens. Most important is to understand the seasonal movements, habitat requirements, feeding behavior and prey that those fish typically eat. Expect the largest individuals in any population to inhabit the best habitats with the most prey. Big fish do not grow large by getting by in marginal habitat, or by working too hard to find prey. Find unpressured fish. Let me say it one more time, big fish are hard to catch not because they are so smart, but because they are so rare. Unfortunately, if someone else has beat you to the lake or to the best spot on a particular lake, they may have already “burned” the big fish that were there. In the worse case, they have caught the big specimens and given them a ride home in their pickup. In the best case, they have caught and released those big fish, but they will not be as easy to catch the next time. From what I have just described, one might conclude that lightly-fished private waters are the only ones that will produce large fish of most species. While it may be true that private waters can produce excellent fishing for big fish, it is not at all true that lightly-fished or private waters are the ONLY waters that will produce large specimens. Some public waters, even heavily-fished public waters, can be excellent habitats that continue to produce large specimens in spite of significant fishing pressure. On those waters the biggest challenge will be out-smarting other anglers. If large specimens are the best examples of the species and adhere most rigorously to the habitats and behaviors of that species, would not they be some of the most predictable and easiest to catch? And, therefore, most of the big fish on heavily-fished, public waters have already been “plucked”? Yes, there is a lot of truth to that, but there are lots of large specimens of a variety of species swimming in heavily-fished public waters. No, those fish are not smart, even the largest of them have a brain the size of the end of your little finger, but that does not mean that they cannot be conditioned by anglers. What do I mean by “conditioned” fish? For example, if the majority of bass anglers on a particular body of water are throwing ½-ounce spinnerbaits with white and chartreuse skirts and silver Colorado blades-how many of the big bass in that body of water have already seen that bait and even have been hooked at least once? It is likely that most of the big bass in that body of water have been caught on that or similar baits at least once and some of them multiple times. Now, I am not saying that you cannot catch a big bass from that body of water on a white and chartreuse spinnerbait because some of those big bass will never learn. I am saying that most of the fish that were vulnerable to that presentation have already been caught and are less likely to be taken on that same bait again. Fishing is a game of playing percentages, to be successful you put the odds in your favor realizing that there are no “sure things” and you cannot control everything. In the example I just used, the percentages would likely favor some other bait for catching big bass. To catch more big fish, figuring out how to have an edge on other anglers is at least as important as figuring out the fish. At times that will mean you have to identify waters or locations on waters that others are overlooking. In other situations it will mean you identify different presentations or strategies to target big fish that have not been “burned” by other anglers. Remember earlier when I stated that the water body with the absolute highest numbers of big fish may not necessarily be the best one to target? Sometimes those waters that have a reputation also have a lot of fishing pressure, while another body of water where they may be fewer big fish might be a better bet because those big fish are less pressured. Fish prime times for big fish. The best time to go fishing is whenever you have time, but hardly any of us are able to fish all the time. So, to put all the odds possible in our favor, it is helpful to maximize chances by recognizing the best times to catch big fish. Knowing the habitat requirements and seasonal behaviors of the species being pursued will allow you to identify calendar periods when you are most likely to catch big fish. Likewise recognition of daily habits and movement patterns will help in identifying the best times to fish on a daily basis. Go fishing whenever you can, but make sure you spend as much time as possible fishing the “prime times”. Depending on the species, certain times during the year will provide the best opportunities to contact big fish that are actively feeding. The times can vary from species to species and that again illustrates why it is so important to understand the biology and habits of the species being pursued. For example, early spring, pre-spawn can be a key time for catching big largemouth bass while late fall might be one of the best times for big walleyes or muskies. Likewise on a daily basis there will be periods when fish are most likely to bite. Big specimens, being the most successful fish in the population, especially may be keyed-in to feeding during daily periods when they can capture the most prey with the least expenditure of energy. Those big fish may also be the most successful in capturing prey and therefore their feeding periods may be the smallest windows of opportunity. Identify the best big fish waters, the best spots on those big fish waters and then make sure you are on those spots when those windows of opportunity present themselves. Use baits and presentations that have the greatest appeal to large specimens. I have a couple of different philosophies on presentations for big specimens. First of all, recall the earlier example about fish becoming conditioned to certain popular presentations and baits. Those baits and presentations are popular because they catch fish. Most of the popular baits will catch lots of fish, and in the process you may catch some big specimens. That is a great strategy to use on waters with lots of big specimens that have not been exposed to a lot of fishing pressure. But on more heavily-pressured waters, and that can be almost anywhere these days, you might have to change things up a bit. I will never believe that fish are smart, but the biggest fish in a population may have learned to avoid certain baits and presentations on heavily-fished waters. Many anglers have experienced the phenomenon of some new bait being THE hot bait catching lots of fish for a year or two, but over time the success of that bait tends to decline. Then the next new hot bait hits the market and that is THE bait catching all the fish. That scenario results from fish becoming conditioned to popular baits and presentations and becoming less likely to bite on those baits. I believe that certain baits and presentations may be easier for fish to learn to avoid. When fish are actively feeding, there is no doubt they can be caught on just about anything. At those times the brightest, loudest, most obvious baits may catch the most fish because all you have to do is get the fish’s attention and you will get bit. But, it may be the “loudness” or “boldness” of those baits that makes them the baits that the fish will most likely become conditioned to avoid. However, did you ever notice how some of the old favorite baits seem to always catch fish? Some of those baits remain productive over the years because they get the fish’s attention and get them to bite without putting off lots of negative cues the fish can learn to avoid. Many of those baits are more natural-looking or have a very natural action, shape and color. Of course for fish to bite they first have to find your bait, so size, sound, color, flash, vibration and movement may all be important variables in figuring out the best bait and presentation, but if big specimens are your target, it may be important to keep those variables as natural as possible. 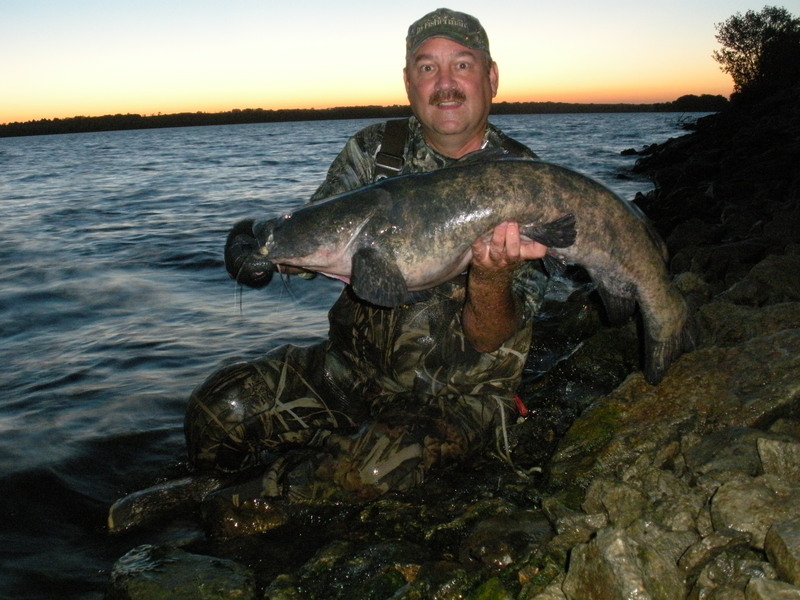 Natural live and dead baits are as real as possible and in some cases may be the best baits to use for big specimens. However, in many situations the right artificial bait will be even more effective for big fish. My second philosophy goes back to my statement about the largest individual fish in any population being the most successful fish in that population. Big fish are the fish that are most successful in taking in more energy than they expend-they are the most successful predators. Depending on the species, and the habitat, that can mean several things. In some cases the biggest fish will be the most likely to occupy the best feeding locations. For example, in streams the biggest trout often occupy the best current seams where the stream flow will bring them the most food items. In another setting the biggest fish may be the most likely to take advantage of the largest concentrations of baitfish in locations where they can easily corner and capture those baitfish. As fish grow their energy requirements increase. If they are to continue to grow and reach large proportions they must continue to find the food resources that will give them the greatest return of energy per energy expended in finding and capturing that food. Big fish can be caught on small baits, and in some situations small prey items may be so abundant that they offer the greatest return of energy per energy expended. In other cases, larger fish will switch to different prey because those prey items offer a greater return of energy. Big baits certainly can mean you are more likely to catch big fish, I believe that. I also believe that at times big fish may key on different prey items than the small and medium-size fish in a population. If you can figure out what that big fish predator/prey relationship is, you may discover THE KEY to catching lots of big fish in that particular body of water. If you are targeting big fish and catching nothing but small and medium-size fish, you might try “super-sizing” your baits and using them in the same areas. That simple change in strategy may score some big fish, but you may have to go looking for big fish in different areas where they are feeding on an entirely different prey. For the hundredth time, repeat after me, “big fish are hard to catch not because they are so smart, but because they are so rare”. If you want more big fish to catch I believe this last strategy is crucial-release the big fish you catch! 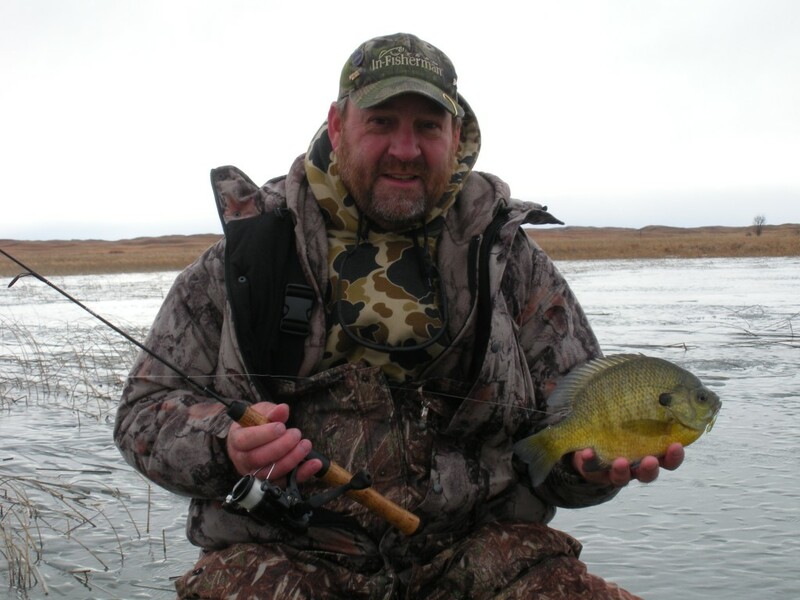 I know public waters in Nebraska that continually produce big fish for the best anglers that frequent those waters. Some of those anglers are good “sticks”, and if they kept all the big fish they have caught, there would be a darned lot less big fish for them to catch now. There is no doubt in my mind that faithfully releasing big specimens will maintain populations of big fish to be caught again. Sure some of those big fish will die of natural causes, but for most species in most habitats, the natural mortality rate of big fish can be quite low, and may very likely be much lower than the fishing mortality! Certain anglers can put the pieces of the puzzle together so well that they will be very effective in capturing that small percentage of large specimens present in a population. Fortunately, by the time most anglers mature to the point where they regularly catch big fish, they realize the importance of releasing most, if not all, of the big fish they catch. In practicing the catch & release of big specimens you know those big fish are there for you, or perhaps someone else to catch again. Big fish can be “recycled”. I release big specimens for selfish reasons-I want to catch them again. If someone else is able to catch a big fish in the process, that is fine too. I just hope they will also recycle them!